Soil Requirements: Moist, acidic, organically rich, well-drained soil. Grows well in sandy soils, but not clay. Attributes: Interesting bottle-bush fragrant flowers, Fall color, multi-stemmed, attracts birds, deer resistant, year round interest. Uses: Shrub border, Foundation planting, Cottage Garden, Woodland Garden, Native Garden, Small hedge. species diversity in the Himalayas. There are over 1,000 species of rhododendron, woody plants in the Heath family that may be evergreen or deciduous. Azaleas make up 2 subgenera of the rhododendron family. Some species are poisonous, both the pollen and nectar, yet we have observed honey being sold specifically from bees feeding on rhododendrons. After over 48 years experience growing both rhododendrons and azaleas in diverse conditions in the U.S., I believe these plants are much tougher than most people appreciate. Rhododendrons and azaleas are best grown where summers are cool and moist—not so! Azaleas are mostly deciduous—not so! Whether your soil is clay or decomposed granite, it can be amended to meet the plants needs. With clay there are two approaches, the easiest is to amend the existing soil with good acid compost to loosen it up and allow for drainage. As long as the planting site is elevated from the surrounding soil, you can plant directly into the soil. Another approach is to build a raised area about one foot above the existing soil level using river rock or another material and fill with good soil mulched with acid compost. Typically decomposed granite drains rapidly so the addition of a good amount of acid compost will help it retain sufficient moisture to support plant growth. Keeping Roots Cool: In Southern Oregon it is very easy to keep plant roots cool as we have easy access to conifer forest detritus. Although fir trees are the dominate locally, we have pine trees which serve as the ideal mulch for azaleas and rhododendrons. Unlike compost, which can get soggy and compacted, pine needles piled around the base of the plants provide a cool, moist environment with good air circulation. As the pine needles breakdown, they help maintain soil acidity. A factor to consider in purchasing rhododendrons and azaleas, is how the plant will fit into your landscape scheme. 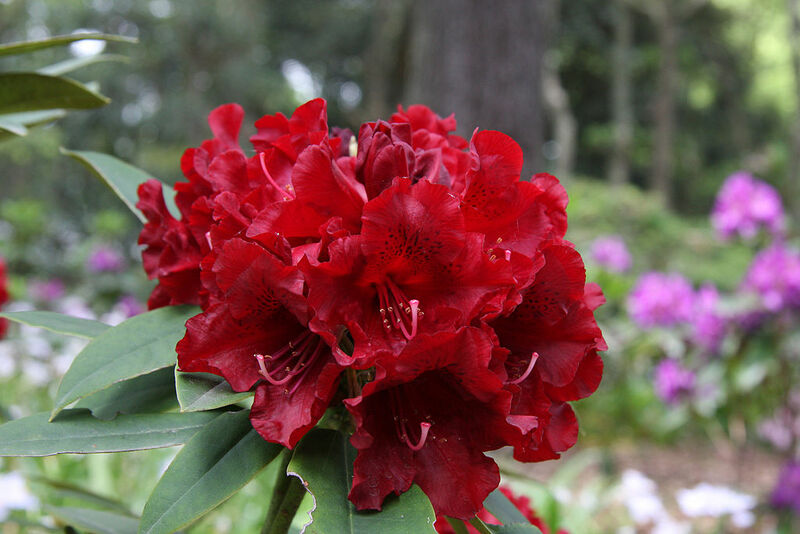 If you desire the tall lacy feel of rhododendrons reaching for the sky, then look for plants that exhibit an 8 to 10 inch or greater annual growth rate. In contrast, there are many species which grow in a dense, bush-like growth habit or , with the deciduous species, they retain a shrub like height, but exhibit a lacy open growth habit. Spring is the ideal time to purchase these plants as they are in full bloom, giving you good color selection and an appreciation of some of the perfumed varieties. The disadvantage is often nursery suppliers push the plants causing the roots of some of them to be so compacted that they cannot be pulled a part. Under these conditions the plant will never perform well and I would suggest returning the plant to the nursery. Azaleas are Rhododendrons. They belong to the subgenus pentanthera (deciduous) and the subgenus Tsustusti (mostly evergreen). Azaleas are elepidotes, they never have scales. Azaleas have five lobes to the flower. Most azaleas have only one stamen for each lobe of the flower, while most other rhododendrons have two stamens for each lobe. Azaleas tend to have appressed hairs (hairs that grow parallel to the surface of the leaf). This is particularly true along the midrib of the under-surface of the leaf and is easily seen in the so called “evergreen” azaleas. 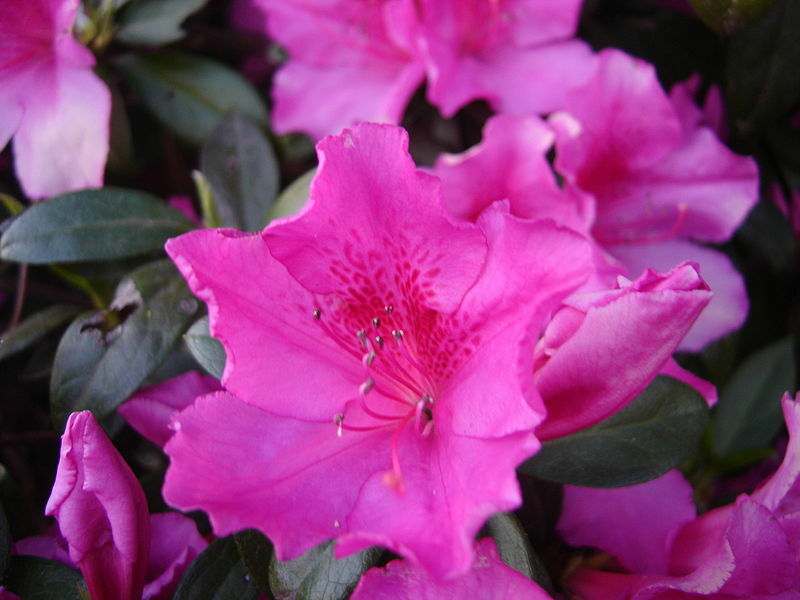 Azaleas have tubular funnel or funnel shaped flowers. You need a microscope to see this, but the hair on a “standard” rhododendron will often branch, while the hair on azaleas never does. Rhododendrons must have a constant supply of moisture. They are sensitive to poorly drained conditions. Hot wet conditions are more dangerous than cool, wet conditions. They need an acid soil of pH 5-6. Fertilizer: A 10-6-4 formula is optimal. 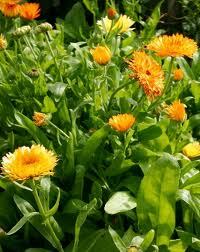 For the best growth and flowers apply fertilizer after the plant goes dormant between late Nov and Jan, a second application in Feb or March, a third time in April or May, and a final time in June or July. Always prune right after flowering. Even large plants can be cut back. Rhododendrons & azaleas flower on the prior year’s wood, therefore the buds for next spring’s flowers form during the previous summer or fall. If you prune them later in the summer, fall or winter you will be trimming off your flowers for the spring. Prune larger leaved rhododendrons just above the growth joints. Prune azaleas and small leafed rhododendrons anywhere along the stem. These plants have dormant growth buds nearly everywhere, though you may not be able to see them. Light pruning and shaping should be done yearly when you deadhead. Snap off the old flower trusses. You may pinch out the single terminal growth buds just as they start to grow. It will make a shorter and bushier plant.